1860 Luxury Accommodation is self-contained, private, romantic accommodation for one couple in historic Beechworth. An intimate space to take a break from daily life and reconnect. 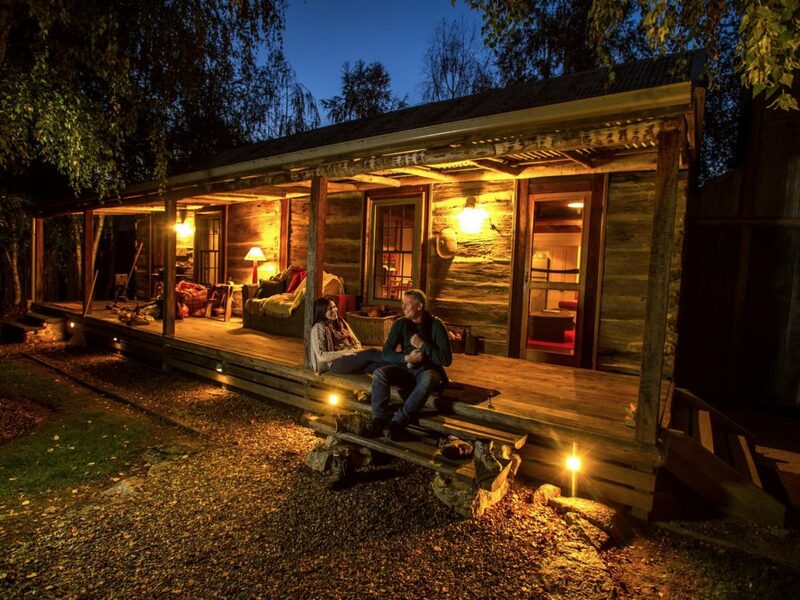 An original timber cabin built in the 1860’s, now a luxury cabin perfect for romantic short-breaks and special occasions. Comfort is king at 1860. Our custom made-in-Melbourne leather couch is huge and soft. With an open fire, coffee table made from old blacksmith’s bellows and reverse cycle cooling and heating, you’ll be comfortable in every season. A large television, a range of CD’s, books and movies, a docking station for your phone and complimentary WiFi will keep you well connected. A cooktop, microwave/convection oven, full fridge, dishwasher, BBQ and quality utensils mean you don’t have to compromise on flavour. The well-stocked kitchen has all the essentials for those that like to self-cater.